It’s AMAZING what can happen in 20 Days, what teams of people can get done. Start a Project	How Does it Work? 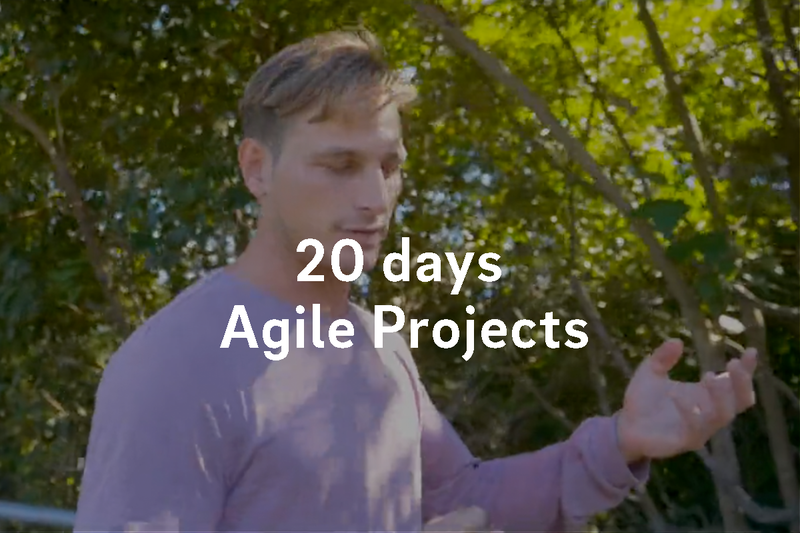 20DAYS is an agile product development method derived from Lean Startup to mitigate risk and rapidly release products to market. The 20 day method is represented by fixed price modules of work that are delivered in 20day sprints. Each module of work is quoted by the various team members involved so all members of the project are accountable for their responsibilities. Avoid scope creep and keep all parties working on the same goal of the 20 day iteration. Each 20day module is fixed price so the client can see what they are paying for and there is no nasty surprises after the 20day sprint. The process is fundamentally a feedback loop of constant iterations to trial and test ideas and functions. Projects are broken into smaller modules to reduce risk, deliver faster and allows easy and transparent billing. We all like to know what is going on. The project dashboard allows everyone to see what is being done in realtime. Data-driven development iterations make sure that you are building what is most important for your users at that time. Reducing unnecessary development and planning small modules of ongoing development is better for cashflow. There is no hidden costs and there is no lock contracts. Costs are reduced and the right product is built from the start because nothing is being built without it first being validated. An Agile project management methodology derived from Lean Start Up designed to reduce costs, mitigate risk and maximise product quality and user satisfaction. The Producer works closely with the Client to normalise the data and humanise the findings of the iteration to then collaborate on a plan for what should be done next. 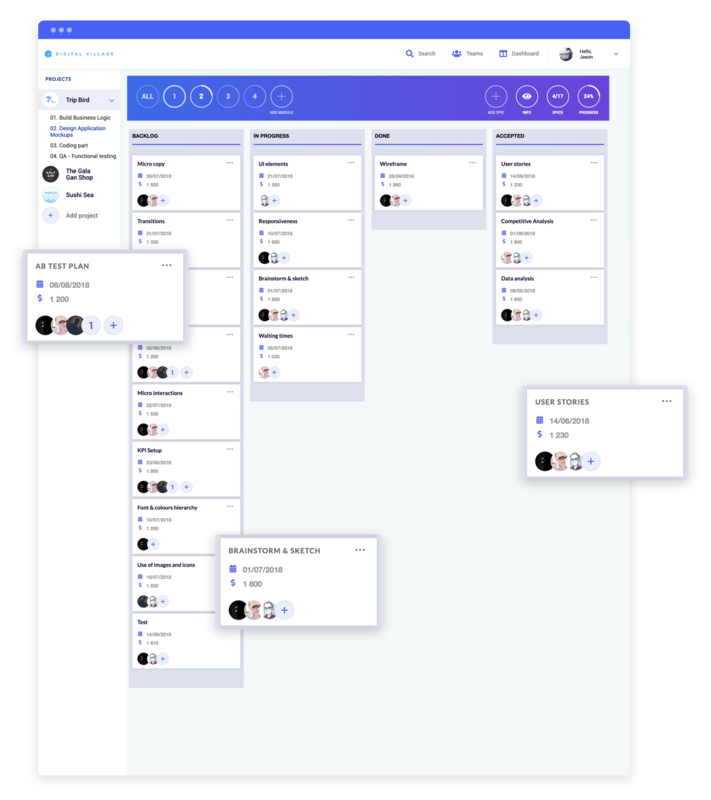 With a plan in place, the next iteration begins to test a new hypothesis, trial a new feature or begin the next development sprint. 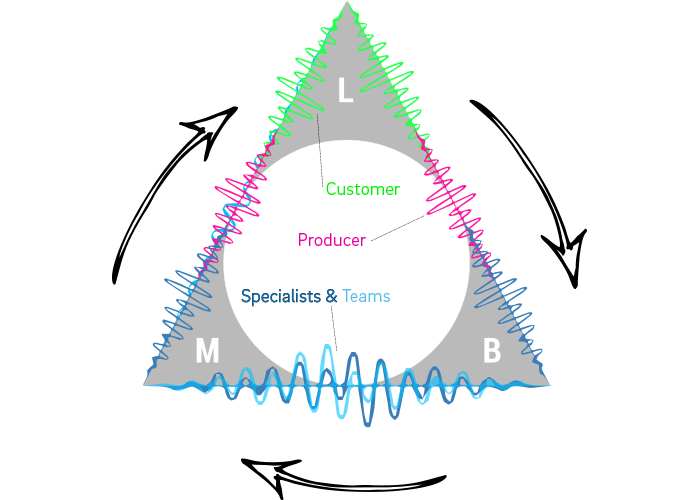 The Producer collaborates with the cross functional teams to flesh out the solution and build the solution. Appropriate strategies for collecting feedback and data from what has been built is carried out until there is enough evidence to form a conclusion and validate the solution (or not). Are you ready for a 20-day turnaround on your project, with your own team of Digital Specialists and a Producer to run the project for you?